I’ve been saying how durable the GoPro Heros are for the last couple of years. Well now its time to put it to the actually test. 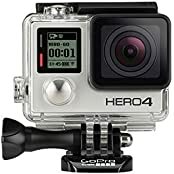 Today we’re going to conduct a few drop tests, water tests, and some extreme situation tests to see how durable the GoPro Hero 7 is and then after that to see what it will actually take to break it. I’m pretty excited to mash this GoPro up abit so lets get into it!